This place. It has magic powers to make you act unusual. Don't believe me? My kids begged to skip lunch. Unfathomable. These are the kids who request lunch immediately after they finish their bowl of breakfast cereal. And me? Well, I actually said, "Naps? Fuggedaboutit." No naps?!! My brain lives for nap time, when I don't have to answer any questions and I can take a moment to just sit and...blink. But this place with all it's magic was irresistible. It was 2pm before anyone even peeked out of the exhibit-filled universe where fabric pretend pizzas fill you up. 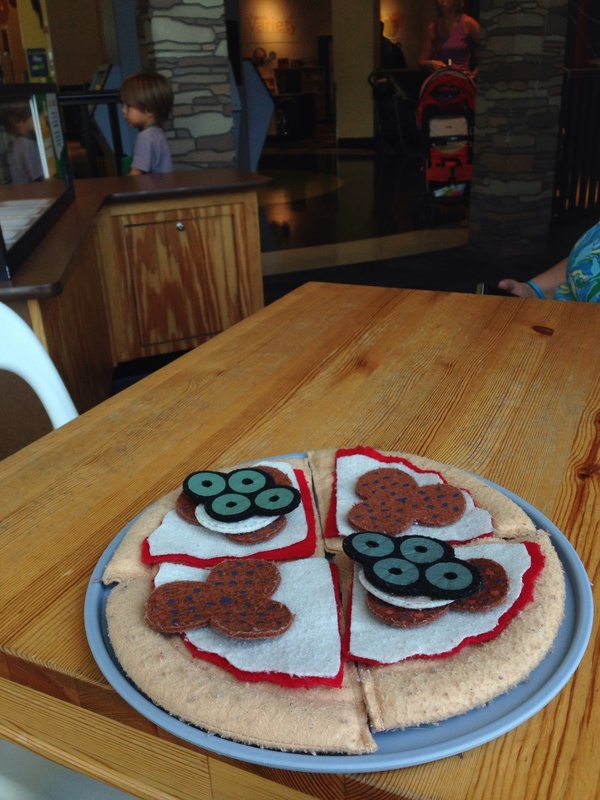 Try the fabric pizza. It's low carb. And really, in full disclosure, that first, starving person was me. The kids could have played until the sun set, I think. Why do kids love this place? I think it's because it provided a rare space for pretending. He was a "Publix guy." 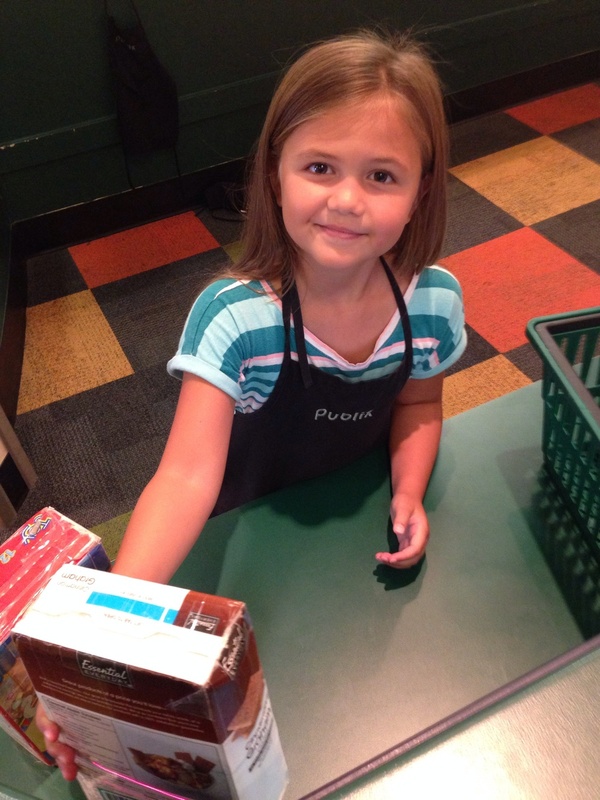 Everyday they see adults serving, acting, gardening, ringing groceries up, being a doctor and so much more. It's a world they observe, but can't often join. So grown up...just for pretend, right? Don't grow up too fast! It's a world that says "you're too small" 99% of the time. However, what they found in this museum and for a few brief hours was freedom! They were a firefighter, drove a truck, flew a plane, cooked and directed a play. And there were no rules, except that they HAD TO touch everything! 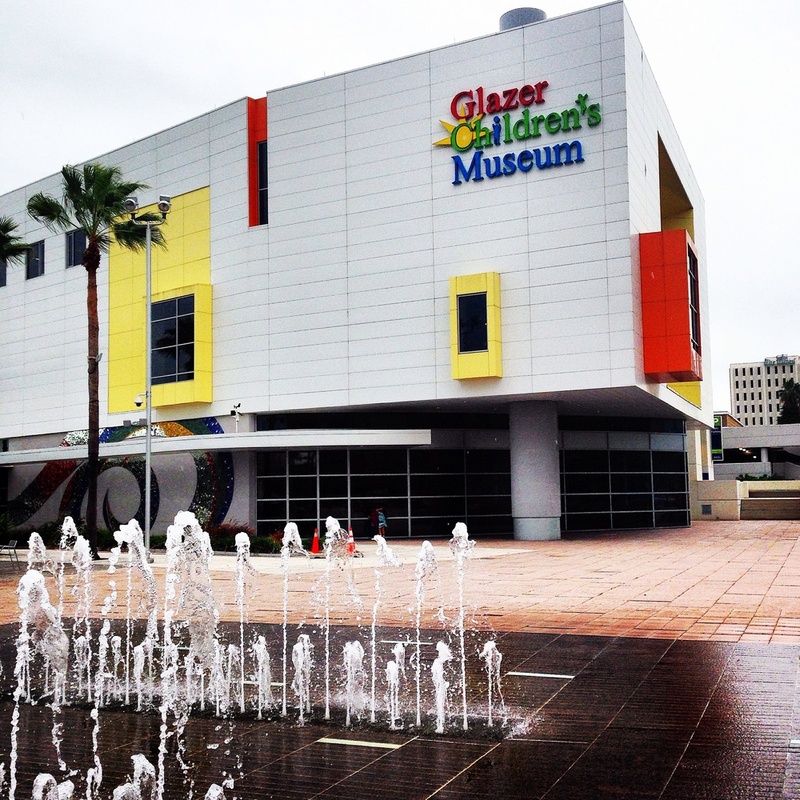 They were powerful and capable people in Glazer Children's Museum, where pretending is learning. There is a parking garage next to the museum; the museum does not validate. Activities are perfect for children 8, and under. Come early, you'll be staying a while. Get some rest the night before, you'll be staying a while. Bring food, so you (I mean, your kids) don't perish from starvation. Or grab lunch at the Subway in the museum lobby; you'll be staying a while. Just a tiny portion of the fun. This museum was huge! 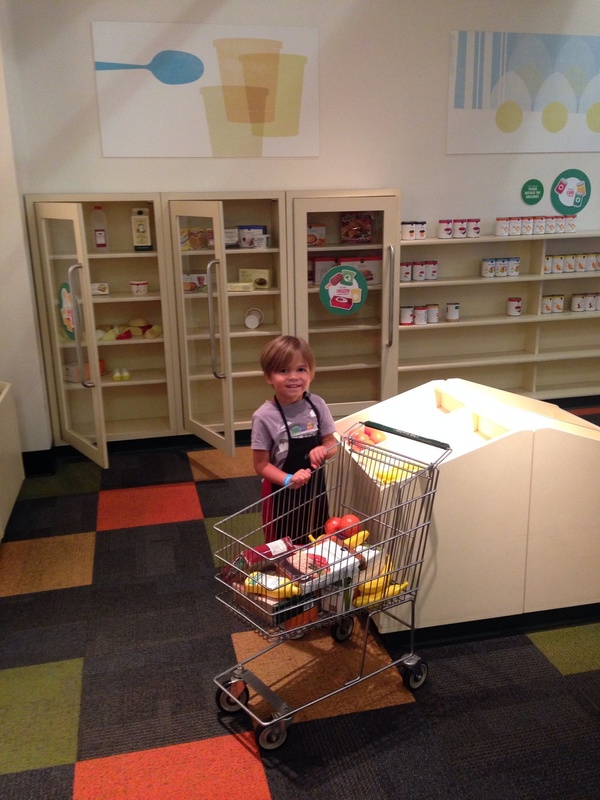 MOSI, will appeal to families with younger AND older children. 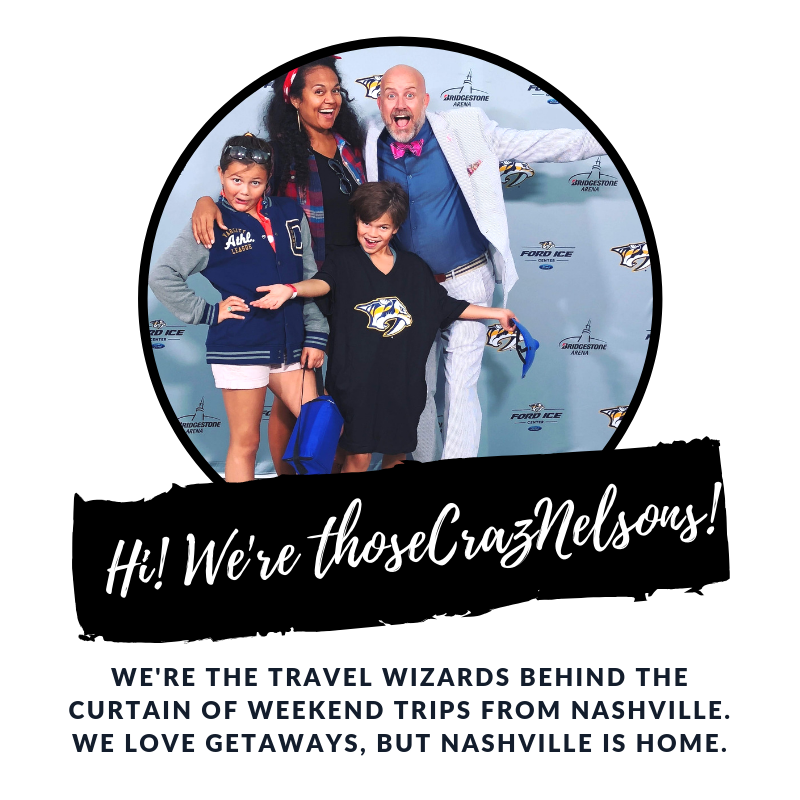 It has the interactive exhibits you'd expect from a science museum, but it also has a planetarium, your choice of an IMAX Dome movie, a zip line, and a butterfly house, just to name a few. While there, the kids stacked and pressed and touched and raced...basically everything we try to get them NOT to do throughout the day. See our little guy in the throes of awe...whoa. That was the word our kids kept saying. That was the word their eyes gleamed: Whoa. That is, until we watched the cute Panda IMAX movie. And then that word became: Awww. I know without a doubt that in 20 years, my kids will be printing things like shoes and eye glass frames at home. I felt like I was seeing the beginning of the future. The same way my world changed with an AOL CD mailer, some funny dial tones, and a man who said, "You've got mail!" decades ago. 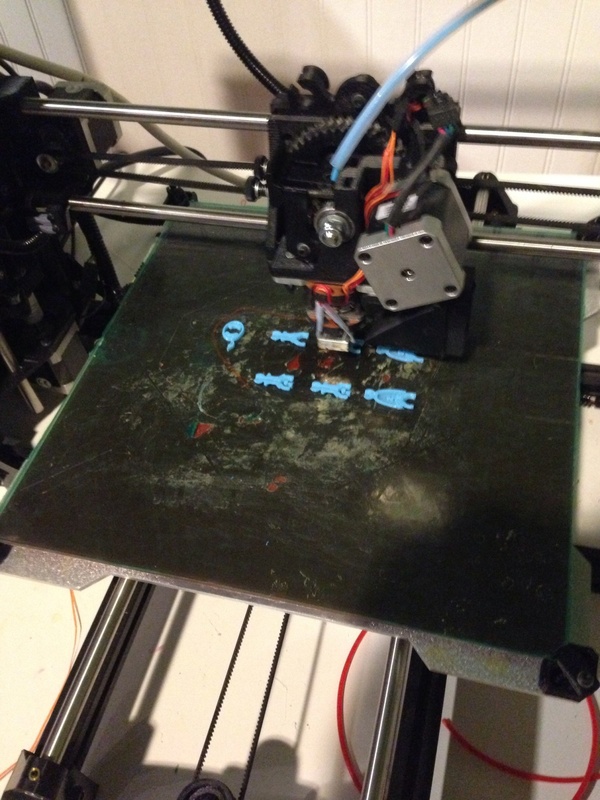 3D print machine making toy parts for a figurine. My kids have never sat in a wheel chair, much less had to navigate a hill and open a gate while maneuvering one. It connected them to the daily struggle of someone in a wheel chair, and sparked a sense of empathy, as well as gratitude for their working legs. As a parent, that alone would make the price of admission worth it. If I can teach my kids empathy today, they'll be better adults tomorrow (even if during the teen years they store it away for usage later). Make use of the museum volunteers. They're floating around the exhibit areas and are super helpful. Don't forget your parka, the AC is cranked up to Arctic temps. Certain activities and movies are scheduled only at particular times in the day. Make a plan of attack before seeing any exhibits. Some activities require an extra fee, like zip lining.